The HOTTEST Trend at the COOLEST Events! 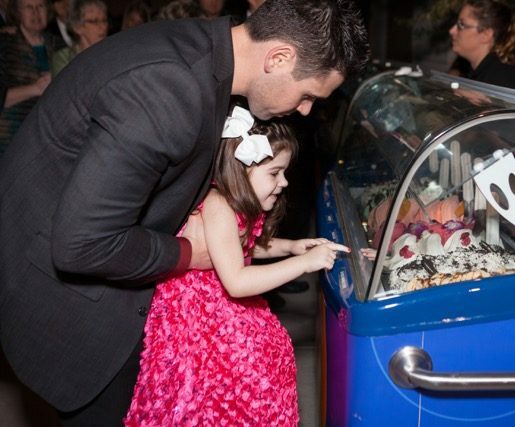 With 6 curved-glass Gelato bars, we can accommodate nearly any size venue! We arrive fully decorated and well-presented, ready to serve fresh gelato in minutes. No Styrofoam boxes to carry in and out, no pre-running the cart to get cold after sending it by rented truck or trailer, all which could make for distractions and lengthy set up times. Our gelato bar brings the WOW factor!! Gelato that will brighten up the room with our back lit Gelato bar by where the Gelato sits up high and is visible from across the room. Whether you offer The Gelato Bar in addition to, or in place of traditional wedding cake, you and your guests will be impressed. For less than the average slice of wedding cake, you can offer a minimum of six flavor choices at your reception. 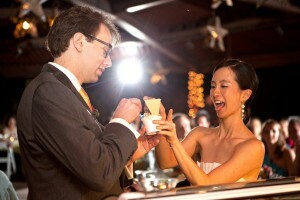 The Gelato Bar provides more VARIETY for your guests, more VALUE for you, and a much more MEMORABLE experience for all. Yes! We can bring that Gelato Bar experience to your next event! Are you tired of the same old, coffee and donuts? Bagels and cream cheese? Once the word gets around that there is a gelato bar on site, the staff come out of their offices! Coffee and donuts are too common and often times avoided because of their unhealthy qualities. Gelato is fresh, different and a real treat. It is 1/3 the fat of regular ice cream yet more creamy and flavor intense. Our sorbettos are all fruit, and are dairy and fat free. One taste and they’ll be back every time the gelato bar is there! Everyone will love it and thank you for it! We are definitely a bargain with large groups but if you have that special occasion and want you make it extra special, then Gelato 64 wants to celebrate with you. Our professional staff can tailor a small group rate for as few as 75 servings.